Brokk introduces a new powerful machine! The new Brokk 500 adds 40% more breaking power than its predecessor. The machine delivers 1,500 joules punch with each blow of the 700 kg heavy Atlas Copco SB702 hydraulic breaker. On top of that it adds further length to Brokk’s signature three-part arm system, now reaching 7,4 meters vertically and 7,0 meters horizontally, making it ideal for work where the extra reach is of importance. Still the Brokk 500 retains most of the compact proportions of its predecessor, the Brokk 400. With its 5,200 kg it is only marginally heavier and the width of the machine is the same. And it is “backwards compatible”, so all the tools and attachments used for the Brokk 400 can also be used on the new Brokk 500. The Brokk 500 comes with Brokk’s new intelligent electrical system – Brokk SmartPowerTM. This new smart electrical system is a key part in creating the performance improvement of the machine. It maximizes the power output of the machine at any given time, based on both environmental and operating factors. 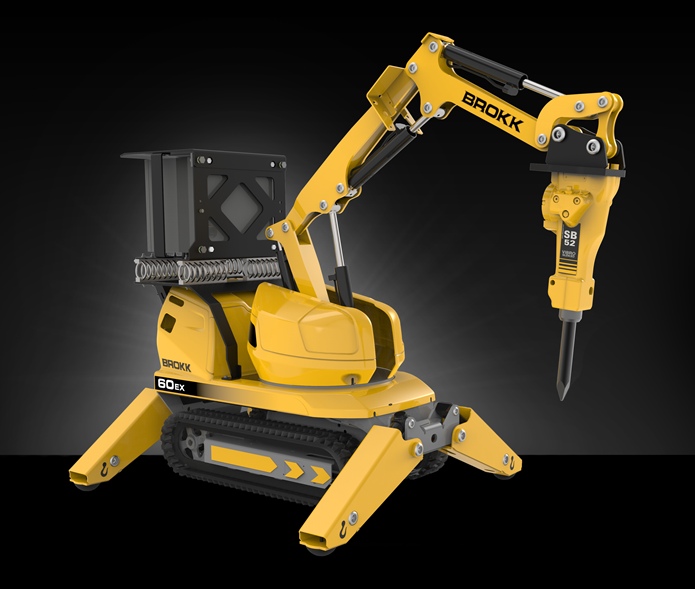 The Brokk SmartPowerTM system is uniquely designed for the extremely tough operating environment of a demolition robot. Its components are either designed by or modified by Brokk to withstand the demolition forces over time. In addition it helps the operator to get the machine started on poor power supply, while at the same time it protects the Brokk machine from any harmful faulty power. The Brokk 500 incorporates the industry-leading reliability and serviceability that Brokk has become known for over the years. New on this machine is that operators now can complete all daily and weekly maintenance without even having to lift the covers of the machine. And replacing any damaged hydraulic hoses is now simpler than ever. 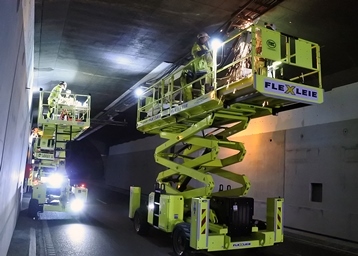 PassiveTec®’s innovative tunnel fire protection technology has been selected and installed for the renovation of Oslo’s Tåsen Tunnel. To achieve a required 120 minutes fire protection (based on the RWS time/temperature curve), PassiveTec® fireboards have been applied as wall cladding in the tunnel. PassiveTec® XT intumescent sealant was used for the expansion/construction joints, together with Fischer FNA II A4 anchors and tunnel coating from Kapyfract AG. PassiveTec® Tunnel Liner fireboards are made from fibre reinforced magnesium and other refractory products. As well as outstanding fire protection performance, these specialist boards are free of hazardous substances, offer excellent stability and durability under humid, wet or freezing conditions and are easy and quick to assemble. To further increase the speed of installation on the Tåsen Tunnel project, made-to-measure panels were cut to size and coated off site. 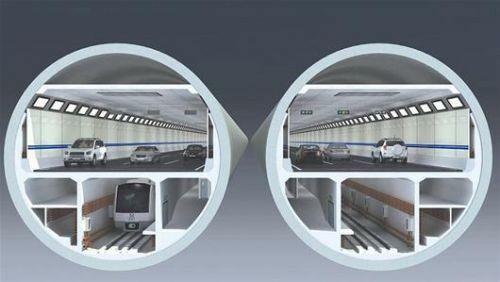 The 24mm PassiveTec® Tunnel Liner used in Tåsen Tunnel is also the thinnest and lightest globally RWS-rated board. Delivered by main contractor Peab Norway for Statens Vegvesen, the 250 million NOK Tåsen Tunnel project is part of a comprehensive national tunnel upgrading programme which will see more than 200 tunnels across Norway being upgraded by 2019. The upgrading works includes fire protection, new emergency exits and replacement of signalling and service equipment. 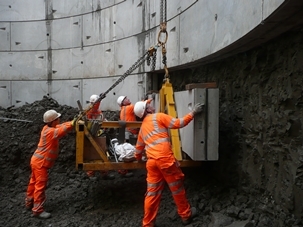 PassiveTec® director Simon MacDonald said: “We are naturally delighted that PassiveTec® TunnelLiner was selected for this important city-centre infrastructure project. System Prime Horizontal launches MudVis! 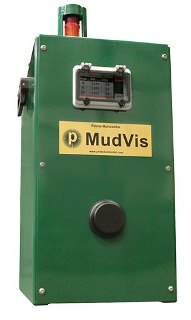 Prime Horizontal is launching our newly developed, automated mud viscosity and specific gravity measuring and logging system called MudVis. After a thorough process of development and an extensive period of testing on site the product is ready to go live. MudVis samples your stock or mixing tank bentonite at regular preset intervals. The viscosity and specific gravity values are logged in the processing unit and available (real time) for display on various handheld devices for data analysis. The MudVis system complements your mud mixing system and helps you control the quality of your drilling fluid. Since our beginnings in 1998, Prime Horizontal has become a leading HDD service company and is actively engaged with innovations within the HDD market. Around the globe our customers rely on our know-how and together we continue to successfully complete a full range of HDD projects. Whether this requires guidance services, downhole tooling, rig data recording systems or bespoke developments, our dedicated team is ready to support all your HDD project needs. 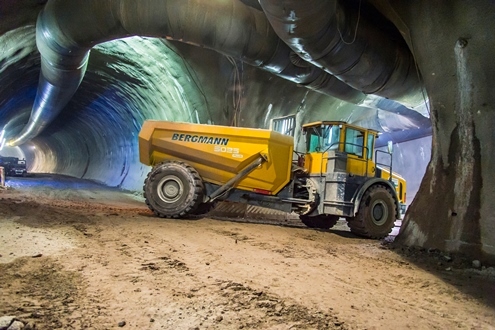 Full marks for Bergmann mining dumper 5025 … The sturdy mining dumpers 5025 from Bergmann known for their excellent manoeuvrability and power are a welcome sight on the tunnelling sites of Cannstatt and Feuerbach in Stuttgart. 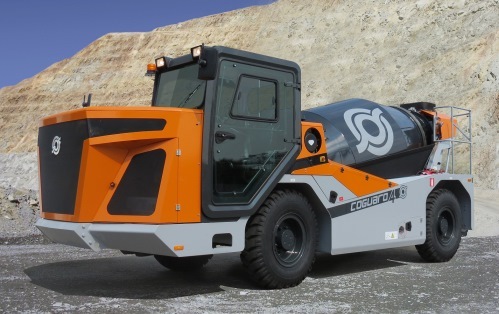 These compact two-axle machines with a payload of 25 t astonish even the most experienced machinery managers. Thanks to their low fuel consumption of only 14 litres per hour and a trough capacity of 15 m³, the heavy-duty dumpers compare favourably with machines from other manufacturers. Their most outstanding feature is the swivelling seat that offers excellent safety and optimised sight of the working area. Brokk introduces a whole new product range … the world’s leading supplier of demolition robots is now launching a completely new product range, the Brokk Ex machines. These explosion protected machines are designed for use in hazardous environments, such as oil and gas industries, underground industries and other environments where there is risk of explosive gas being present. 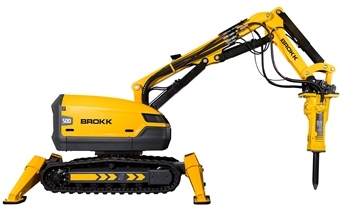 The Brokk Ex machines … an entirely new range of explosion protected demolition robots, called “Brokk Ex”. The Brokk Ex range is available for all sizes of Brokk machines, from the extremely compact Brokk 60 to the big and very powerful Brokk 800. These machines are all designed to be safely operated in environments where explosive gas might become present. The machines have the same industry‐leading performance and can use the same broad range of powerful attachments as the standard Brokk machines. 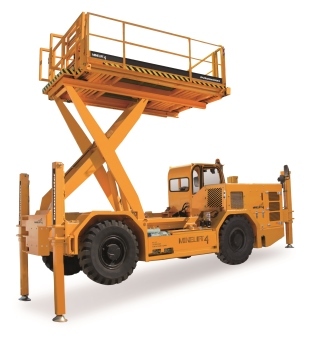 Putzmeister M INELIFT 4: New scissor lift platform for mining. For more than 30 years Putzmeister has designed, developed, and produced equipment for shotcrete in mines and tunnels, combining excellence in concrete pumping with experience in the field of shotcrete, acquired in many tunneling and mining projects throughout the world. The range of equipment for shotcrete is complemented by transportation equipment for concrete and cement.